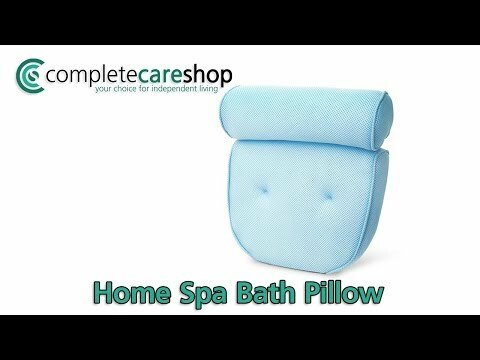 This Bath Cushion has been specially designed to provide exceptional levels of comfort and support to the neck, shoulders and back at bath time. The cushion has been made with an Open Air Fibre that allows the flow of moisture and air which not only provides total relaxation but also assists with quick drying. It secures firmly to the bath with two suction cups that keep it in place at all times. For optimum levels of hygiene and cleanliness, the Bath Cushion is easy to clean and resistant to mould and mildew.